Club races are back for 2019! The second event is the Spring Duathlon! Join us on Saturday May 18 for a flat and fun run / bike / run! 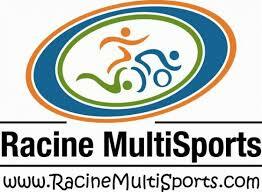 Club member athletes will run 1.5 miles, ride 4 loops (approximately 17 miles), and then run 3.1 miles. We will be starting on the south side (non-river side) of the Anacostia Park Skating Pavilion (at the east end of the park). After our last finisher is in, we will have fun awards! All speeds welcome! All club members welcome! After the event, we will cross over the PA Ave bridge back into DC and hit up Trusty’s for some brunch and $14 bottomless Bloody Mary’s or screwdrivers! It’s about a mile away from the park, so if you can lock your bikes up in the car, you can always walk to Trusty’s! Registration will open Monday April 29th at 10:00AM! Saturday May 18 is National Armed Forces Day! In appreciation of club members serving our country, active military club members can register at a reduced entry fee. See the Spring Duathlon Event Page for more information! 239 queries in 2.252 seconds.